The unauthorized story of lululemon. This is a book about ordinary people who took an opportunity to be creative, to be innovative, and to maximize their potential. Chip Wilson’s part in this story comes from the learnings of thousands of mistakes. He set the culture, business model, quality platform, people development program and then got out of the way. Lululemon’s exponential growth, culture, and brand strength has few peers and it is because of those who employees who choose to be great. This book is also about missed opportunity – five years of missed opportunity. Chip was playing to win, while the directors of the company he founded were playing not to lose. Chip Wilson is an entrepreneur, philanthropist, loving husband and a father to five boys. As the founder of Westbeach and yoga-inspired clothing company lululemon athletica, Chip is a globally recognized innovator in the field of technical apparel. He is widely credited with starting the “athleisure” retail category, now a $100-billion-a year global business. 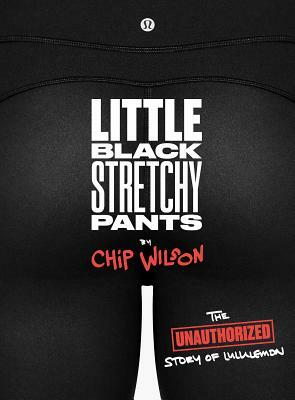 At lululemon, Chip was known for his people-before-product leadership approach. He surrounded himself with like-minded individuals; creative, driven, athletic locals with a love for work-life balance inspired by the West Coast. This cohesive culture fueled the innovation and growth of the brand. In 2007, lululemon athletica was taken public and Chip remains its largest individual shareholder and biggest cheerleader.